If there is a room in your Rockland County, NY home that doesn’t quite get warm enough during the coldest months of the year, you may want to consider a ductless heating system from Clarkstown Heating & Air Conditioning. In spaces where ductwork is out of the question or flat-out impossible, we can offer you another heating system solution that will fill in the gaps where your current convention heating systems is missing. Space heaters can be eyesores that get in the way and sometimes cause safety issues, but ductless heating systems are sleek, unobtrusive and safe. Warm up any cold spaces in your Rockland County, NY home with a ductless heating system from Clarkstown Heating & Air Conditioning. We’ve been in the home comfort business since 1976 and have always put our customers first. Over the years, we have seen the progression of the heating and cooling industry. With advancing heating needs, come advancing options in home comfort services. Ductless heating systems are a high-efficiency heating option that allows you to heat spaces in your Rockland County, NY home or office that have no available ductwork. What was once a cold spot can now be kept as comfortable as other spaces in your home or office. Our factory-trained, NATE and EPA Certified heating technicians can help you to determine if a ductless heating system is the answer to your heating needs. 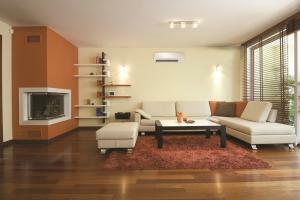 Why Choose Clarkstown for Ductless Heating? We can install your ductless heating system in just a few hours, no patching, painting or ductwork required. Plus, the ductless heating system mounts directly on your wall or ceiling, and blends well with virtually any décor. You can trust Clarkstown Heating & Air Conditioning for expert heating installation in Rockland County, NY. 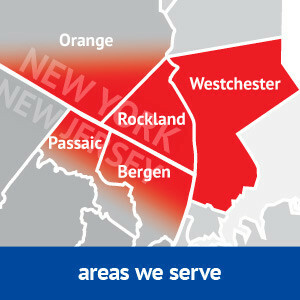 We’ve been providing superior heating services in Rockland County, NY for nearly 40 years. When you need to warm a room in your home, turn to the experts at Clarkstown Heating & Air Conditioning for your new ductless heating system in Rockland County, NY. Keep cozy all winter long. Call us at (845) 620-1000 and we’ll be more than happy to assist you.